Looking for something fun to do as the seasons change? Seattle and nearby areas have plenty of offering that include everything from hay rides to classical music concerts. Plan a fun and exciting adventure that is suited for all the beauty that comes with Autumn days and nights. Occidental Park, also called Occidental Square, is located at 117 S. Washington Street in Seattle. This address is in the 98104 zip code area. For more information, call 206-684-4075. The park is open from 6 AM – 10 PM. This are is no stranger to events and festivities. This year’s Fall Festival begins October 6th at 11 AM. 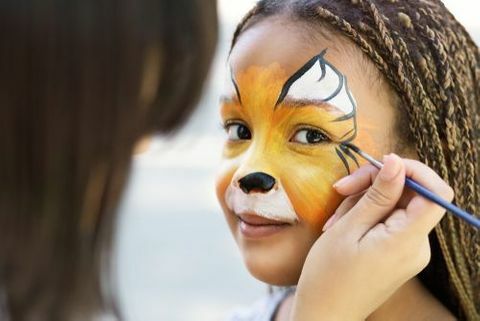 The festival is open to the public and will feature a petting zoo, pumpkin patch, face painting, and an obstacle course. You’ll be entertained by a Balloon Twister, a Hula Hoop Dancer, and an Airbrush Artist. There will be activities for kids and free cider for people of all ages. Don’t worry, even if it rains, this festival is still happening. They have planned and have tents! Northwest Chocolate Festival is located at PIER 91, The Smith Cove Cruise Terminal in Seattle. This year’s annual event takes place on November 10 from 10 AM – 5 PM and November 11 from 10 AM – 5 PM. There are three pass levels that include an EarlyBird Pass, a Weekend Pass, and a VIP Pass. VIP Pass holders get into the festival an hour earlier than others. If chocolate makes you swoon, you won’t want to miss this festival. There will be 20 countries represented during this blissful weekend. The conference part of the festival will include workshops, sensory sessions, design labs, and group discussions. Carpinito Brothers Pumpkin Patch is located at 27508 W. Valley Hwy. in Kent. This address is in the 98032 zip code area. For more information, call 253-854-5692. The pumpkin patch is open from September 28 – October 31 from 9 AM – Dusk. The corn maze is open from 9 AM – 6 PM. Farm Fun Yard is open from 9 AM – 6 PM. If you’re looking for a fun adventure that is just a short drive from Seattle, you don’t want to miss this annual event. The corn maze is a challenge with 12 checkpoints. Make it to a checkpoint and you get an entry in the weekly drawing. Get there before 5:30 PM if you want to give it a try. Visit the Farm Fun Yard for the Corn Pen, Hay Maze, Duck Races, and Goat Walk. So much to do there! There are also hayrides, a produce stand, and concessions. And, of course, pumpkins! Be sure to grab a couple to decorate with at home. Some activities do have a fee, so check their website for more details before you arrive. Serres Farm is located at 20306 NE 50th Street in Redmond. This address is in the 98053 zip code area. For more information, call 425-868-3017. This pumpkin patch is open Tuesday – Friday from 3 PM – 6 PM and Saturday – Sunday from 9AM – 6 PM. Get away from the city streets for a relaxing trip to this pumpkin patch. There are duck races, hay rides, and a corn maze. 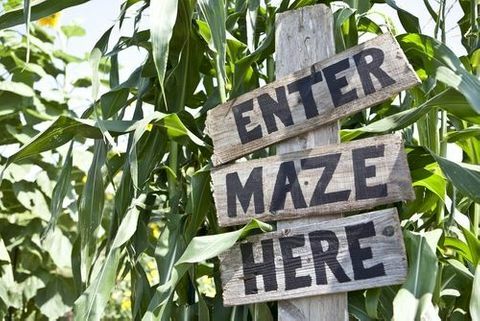 Think you can beat the 15 minutes it typically takes someone to navigate the corn maze? They have a wide variety of pumpkins that include Red French, White Luminas, and Jack be Littles. The Seattle Festival orchestra will be performing Brahms on October 27th at Faith Lutheran Church at 3 PM. They will also be performing on October 28th at Plymouth Congregational Church at 3 PM. Faith Lutheran Church is located at 8208 18th Avenue in Seattle. This address is in the 98115 zip code area. This concert is suitable for people of all ages. Coloring activities will be provided for children. This concert is shorter than a usual concert and keeps the age of children in mind. Plymouth Congregational Church is located at 1217 6th Avenue in Seattle. This address is in the 98101 zip code area. 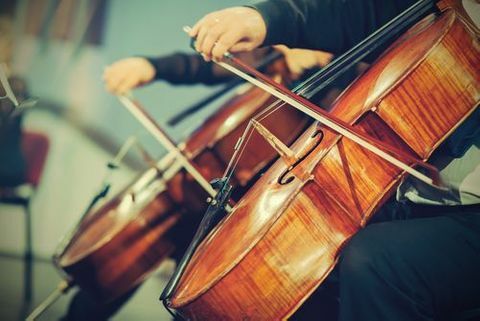 This is a general admission concert that features classical music by Tchaikovsky and Brahms.